The Manmohan Singh government deserves a cautious welcome for moving to redeem its promise made in the 2009 election manifesto to bring forth a food Bill that envisages supply of subsidised food grains to 75 per cent of the rural population and 50 per cent of urban households in the country. That this gigantic welfare measure that will raise the food subsidy nearly fivefold from the current Rs 63,000 crore has been cleared by the Cabinet puts the onus on Parliament for its adoption. The paradoxes of our systems never seem to end. We may worship our rivers, revere them as goddesses, but we forget to document their existence on paper. No wonder, neither the states nor the Union Environment Ministry has a comprehensive inventory of the country’s water bodies. Though we do have major river cleaning initiatives like the GAP (Ganga Action Plan) and the NRCP (National River Conservation Plan) in place, the irony is that the fact of the non-existence of water bodies on paper would have remained unknown, had it not been for a report tabled by the CAG (Comptroller and Auditor-General of India) in Parliament that stated that successive governments have overlooked the need to create a basic inventory of its most vital natural resource. But what did Washington gain? The last of the US soldiers in Iraq has finally left for home. The task assigned to them in 2003 has been accomplished. The US under President George W. Bush entered the Iraqi war theatre after it had made substantial gains in Afghanistan where it had toppled the Taliban regime in the wake of 9/11. He found an excellent opportunity to use the anti-terrorism plank to achieve Washington’s larger objective of ensuring energy security. If continental Europe is living in an era of uncertainty, Britain has the misfortune of being doubly crossed. It is not in the euro zone, which is facing an existential crisis but remains subject to what Germany and France decide. Second, Prime Minister David Cameron’s veto of a treaty foreshadowing a tighter monetary regime has left it isolated even from those aspiring countries still outside the euro zone circle. And for a Conservative Prime Minister, pleasing his back-benchers means something of a repudiation of the European adventure. If you want to run, then run a mile. If you want to experience another life, run a marathon, said Emil Zatopek, a long-distance runner. FOR the past several years, a debate has raged in Pakistan regarding the ‘true’ number of people deemed to be below the poverty line. While a healthy debate has been going on for a long time on the methodology used to assess the size of the poor population, including on the relevance of a nutrition-based approach (as opposed to more multi-dimensional criteria) and on the actual demarcation of the poverty line, the discourse has taken a somewhat less-pleasant and non-academic turn. Denials notwithstanding, the Memogate controversy appears to have caused a serious rift between the Pakistan government and the army. That the Pakistan army chief, Gen Ashfaque Parvez Kayani, met Prime Minister Yousuf Raza Gilani last Friday to discuss the issue does not mean that they have no differences of opinion over the development. 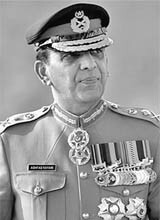 General Kayani is, perhaps, very upset as Memogate has sent across the message that the army remains as power-hungry today as it has been in the past. The army has, in fact, been proved that it is an enemy of the elected government and is only waiting for the right opportunity to topple it. The Manmohan Singh government deserves a cautious welcome for moving to redeem its promise made in the 2009 election manifesto to bring forth a food Bill that envisages supply of subsidised food grains to 75 per cent of the rural population and 50 per cent of urban households in the country. That this gigantic welfare measure that will raise the food subsidy nearly fivefold from the current Rs 63,000 crore has been cleared by the Cabinet puts the onus on Parliament for its adoption. The speedy clearance by the Cabinet reflects the tremendous clout of UPA chairperson Sonia Gandhi whose pet project this has been. One can only hope that all loose ends would be thoroughly debated and sewn up before the scheme becomes law. The worthiest of schemes can become disastrous if not implemented properly. In this case, the Centre and the states would need to be substantially on the same page if the scheme is to be successful. The draft Bill has a provision for free meals to special groups like destitutes, homeless, those living in starvation and disaster-affected people. Pregnant women and lactating mothers, besides being entitled to nutritious meals, will also receive maternity benefit at Rs 1,000 per month for six months. All this is commendable but there is need for caution since the economy is showing signs of sluggishness. The budget deficit will need to be watched. Finding the money to fund the ambitious scheme would also be no mean task. With procurement of food grains required to rise from the current 54 million tonnes to 62 million tonnes, the Union government would be up against a major challenge especially in years of drought. Storage capacity, which is currently deficient, would require to be substantially augmented. Yet, all said and done, the challenges, though tough, are not insurmountable. There have been past instances when measures criticised for their audaciousness have proved to be acts of great foresight. One such was the mid-day meal scheme of Tamil Nadu during the chief ministership of M.G. Ramachandran which later came to be lauded universally. One can only keep one’s fingers crossed that the challenges would be successfully met and that the Centre and the states would work in unison for public good. Since ground water pollution is a major concern for the citizenry, and the extent of the major sources of pollution — sewerage, industrial waste and agricultural sources — is still not ascertained, it is important that the water bodies that carry these pollutants be documented and examined for their exact levels of pollution. Eighty per cent of the population of our country depends on 14 major rivers, which play a vital role in keeping the ecology of this vast region. Stories of fish dying in rivers, dolphins disappearing, and incidents of cancer-on-the rise abound, all due to polluted water bodies. Part of the problem could be that water issues are assigned to the state governments and, therefore, each one of them treats a river as its own, with little or no regard to the downstream (user) effects. Despite the water-sharing disputes that keep erupting between the states, ecologists and conservationists have long demanded that rivers be treated as one entity, and not the property of seven states in seven different regions of the country. If this could be achieved, their documentation and treatment would be made easier by one central agency. The benefits of treating a river system as one entity came to the fore when the Netherlands, Germany, France, Austria, Luxembourg and Switzerland got involved in cleaning River Rhine. For the benefit of its citizens, the states of our country can also follow suit. The last of the US soldiers in Iraq has finally left for home. The task assigned to them in 2003 has been accomplished. The US under President George W. Bush entered the Iraqi war theatre after it had made substantial gains in Afghanistan where it had toppled the Taliban regime in the wake of 9/11. He found an excellent opportunity to use the anti-terrorism plank to achieve Washington’s larger objective of ensuring energy security. Unverified intelligence reports about Iraqi ruler Saddam Hussein’s “secret” nuclear weapon programme were enough for President Bush to go ahead with his new plan. He also found out that Saddam had close connections with Al-Qaida mastermind Osama bin Laden. British Prime Minister Tony Blair gave added strength to President Bush’s scheme of things by declaring that all that the US intelligence network had discovered was true. Thus, they made up their mind to go in for a regime change, irrespective of the cost involved. World opinion was ignored. The US also did not bother about seeking the UN Security Council’s sanction for attacking Iraq. Even when it was conclusively proved that Iraq had no weapons of mass destruction (WMDs) and that Saddam had no link with Al-Qaida — both being ideologically poles apart — Iraq was bombarded and Saddam dethroned. Later, he was captured and executed. Iraq was liberated from the clutches of the tyrant. What could have been done by the people of Iraq during the Arab Spring now was finished by the US with the use of its military might. But can this be justified legally, morally, ethically or otherwise? The debate is still on. What did the US gain after spending billions of dollars and sacrificing 4,500 lives of its highly trained soldiers? That over one lakh Iraqis also died because of no fault of theirs cannot be ignored. US companies have got some lucrative contracts, but how far they will be allowed to do business after the US troop withdrawal remains to be seen. The Iraqis, divided on sectarian (Shia-Sunni) lines, do not sing songs in praise of the US. The government in Baghdad, though not anti-US today, does not hide its pro-Iranian tilt. Iran, a sworn US enemy, is the major gainer. Obviously, this was not the US objective when it entered Iraq. It is acknowledged that Mr Cameron’s veto was principally governed by his objective of protecting the interests of the city of London, Britain’s cherished hub of financial services and operations, which might have been affected by a tighter European regime. London is now in the sad predicament of hoping that cracks will develop among the aspirants hoping to join the euro to make its own isolation less stark. And for Mr Cameron, there is the additional problem of placating his coalition partner and deputy, Mr Nick Clegg of the Liberal Democratic Party, who has made his displeasure with his boss public. Beyond the economic blues that are pervading the whole of Europe, the new crisis over the euro and Britain’s approach to it has highlighted a deeper problem. The United Kingdom has never really felt that it is part of Europe. Initially, it sought to initiate a parallel outer rim of countries to match the European Economic Community. Bowing to the inevitable, its initial application to join the Community was rebuffed by France’s President Charles de Gaulle. Later, Britain’s membership was approved by de Gaulle’s successor because he sought to balance Germany’s weight with the UK. But Great Britain has never felt it belonged to Europe and Mrs Margaret Thatcher became a heroine at home by extracting several exceptions for her country through her grit and bandying her famous handbag. Apart from the euro-sceptics in the Conservative Party now feting Mr Cameron, few are convinced that he has done the right thing by taking his country out of the key European decision-making process. It is even being suggested that by agreeing to the projected new treaty, he could have safeguarded the city’s essential interests. The fear, of course, was that London’s status as the biggest bourse and centre of financial transactions in Europe could have been lost to Frankfurt, should new restrictions have been placed on the city’s transactions. A leading article in France’s influential Le Monde bluntly proclaimed that the United Kingdom has never felt that it was part of Europe. Circumstances and the logic of the continent’s economic weight compelled a succession of British administration to seek membership of the European Community, later significantly renamed the European Union. Yet Britain has continued to feel it was part of, yet separate from, Europe. It did not want to lose the image of Queen Elizabeth II on its pound note. The proverbial British newspaper headline that the continent was isolated because of fog in the English Channel has a point. After losing the Empire and the diminution of its role in the world, Britain had consoled itself with the thought for a long time that it had a “special relationship” with the United States, the pre-eminent power after the end of World War II. And for a time Britain did exercise influence over US policy as Washington deferred to the greater experience Britain had in areas where American expertise was limited. But once US policymakers developed their own expertise, they did not have much time for their British partners. Britain sought comfort in the common language and heritage it shared with the United States, but these links, useful as they were, were no substitute for Germany’s growing stature and economic might and more than one US President had hinted at the new reality. In a sense, it increasingly became unrequited love as Britain pursued its own illusions while Washington was working on its new priorities. Finally, the penny is beginning to drop. Logically, Britain’s place is with continental Europe, given its geographical location and immense trade and other dealings across the English Channel. But the UK’s definition of itself rebels at the thought of being a mere appendage to the continent. Its history as the leading European colonial power is embedded in its consciousness. And while Great Britain has in preceding centuries played the game of balance of power in befriending certain European powers to fight other Europeans, it has sought to retain its own special place in the universe. In the development of the European Community, France played a dominant role both because of French visionaries such as Jean Monnet and the administrative and political finesse displayed by the long time head of the European Commission, Mr Jacques Delors, but also because Germany was weighed down by its Nazi past and defeat in World War II. In later years, Germany took on a more assertive political role because a new generation of politicians felt their country could not perennially be held down by the guilt of Nazi rulers. This process was completed by Chancellor Angela Merkel, who was indeed brought up in what was East Germany and graduated from there. Britain, therefore, finds itself out on a limb for more than one reason. Psychologically, it is unprepared for merging its identity with the rest of Europe even as economic and political compulsions drive it deeper into Europe. For a time, it appeared to seek shelter by being a bridge between the United States and continental Europe. But modern technology and intense interchanges between the continent and the American landmass has made the bridge obsolete. How Britain will meet the future challenge of reconciling itself with its European destiny remains to be seen. But as recent developments show, it is likely to be a painful process. By all accounts, Mr Cameron does not seem to possess the charisma to undertake this stupendous task. Britain is waiting for a new Mrs Thatcher, this time to do the reverse of what she stood for by taking the country wholeheartedly into Europe. The writer was recently in London. A lot has happened since Delhi first organised the marathon in 2005. I have been hooked to this life-changing experience since then. Nay, I have opened a new chapter in my life. Like yesteryears, this year also I made tracks for the Jawaharlal Nehru Stadium on a slightly foggy Sunday morning recently for the marathon. My all-weather friend OP Raheja accompanied me. All the world and his wife seemed to be there at the venue — Amar, Akbar and Anthony. Soon the race started amidst a galaxy of stars like Shah Rukh Khan and Bipasha Basu. Shah Rukh Khan was showing the thumbs-up sign to all the runners. Bipasha was the cynosure of all eyes. Many runners were wearing colourful costumes. One of them was doing a half Monty `a la Salman Khan. Most of them were in their Sunday best. On the way there were girls and boys dancing on the stage set after a distance of about 5 km. Their dance with pop music in the background was quite rejuvenating. The piece de resistance of this event was the show of Major D.P. Singh (retd), the Kargil hero, who had his one leg amputated. This amputee was running along with other able-bodied runners. Before the marathon, I had spoken to him and he said he would finish the race in less than three hours. I thought he was talking through his hat as I had taken nearly three hours to finish the race every year. However, to my surprise, I saw that he had completed nearly 14 km and was returning when I could finish only 8-9 km. We kept running. Only 1 km was left. Summoning up our stamina for one last time, we sprinted for the finishing line. Soon I rang up Major Singh (retd) who had already finished the odyssey. “How long have you been running?” I asked this inspiring personality. “I have been running since 2009, but with the blade, it is my first marathon,” he said. He completed the 2-km race in two hours and 45 minutes. He inspired both the physically challenged people as well as the able-bodied. “You inspire others. Could you name someone who inspires you?” I asked him. He then named Oscar Pistorius, the famous South African runner, who had lost both his legs. “Do you ever regret?” I asked. “When doctors told me about my condition, I knew in my heart of hearts that nothing was left. I was mentally prepared. It was something destined. In fact, I was smiling,” said the former soldier. Admiring his ‘veni, vidi, vici’ spirit, I took leave of him and decided to meet him again. He lives near my house. In the light of weak foundations, the halving of poverty in Pakistan would be unprecedented. However, doubts aside, the reduction could conceivably still be possible given the high concentration or ‘bunching’ of the population around the poverty line. 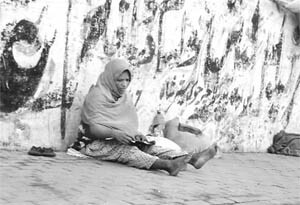 FOR the past several years, a debate has raged in Pakistan regarding the ‘true’ number of people deemed to be below the poverty line. While a healthy debate has been going on for a long time on the methodology used to assess the size of the poor population, including on the relevance of a nutrition-based approach (as opposed to more multi-dimensional criteria) and on the actual demarcation of the poverty line, the discourse has taken a somewhat less-pleasant and non-academic turn. The controversy revolves around the last official headcount poverty ratio estimate available for the year 2007-08. Showing a dramatic decline to 17.2 per cent, from a peak of 35 per cent less than a decade earlier, the estimate produced in the Musharraf era has been dogged by the same credibility issues that have clouded the reliability of much of the economic data pertaining to that period. As such, apart from the Planning Commission, leading poverty specialists in the country (such as Dr Akmal Hussain and Dr Sohail Jahangir Malik) have dismissed the poverty estimate as flawed and misleading. This criticism has been rejected by the person responsible for overseeing much of the economic data for the Musharraf period, the economic adviser between 1998 and 2008, Dr Ashfaque Hasan Khan. Dr Khan believes that since the World Bank has ‘validated’ the poverty estimate, it should be accepted. Ironically, Dr Khan as economic adviser had himself rejected the World Bank’s poverty assessment in the early 2000s — going to the extent of accusing the World Bank’s lead specialist on poverty at the time, Tara Vishwanath (of Indian-origin), of deliberately acting against Pakistan’s interests by reporting a higher poverty estimate under General Musharraf. y No specific drivers of such a large purported poverty reduction are readily recognisable. While GDP growth was indeed reported to be very high for a three-year period (fiscal years 2004, 2005 and 2007), it is unprecedented for such a large poverty reduction to occur over such a small period — quite apart from the serious questions raised about the quality of growth statistics. y Doubts have also been raised for several other good reasons. Wage employment rose nominally during the period in question, given the capital-intensity of the growth (forcing the government to add ‘unpaid family help’ to the labour data in order to boost employment figures). In addition, real wages remained static (and quite possibly declined). In sum, it is difficult to square the data with the poverty estimate. y In fact, around the same time, an inter-agency assessment of the United Nations estimated that at least 77 million Pakistanis were food insecure (roughly 48 per cent of the population). Given that the assessment methodology used approximated the same core criterion used in the official poverty estimate, such a large divergence between the two is hard to explain. In the light of such weak foundations, the halving of poverty in Pakistan would be unprecedented. However, doubts aside, the reduction could conceivably still be possible given the high concentration or ‘bunching’ of the population around the poverty line. A period of ‘bubble’ growth in the economy could result in a large movement of people above or below the poverty line. If this indeed was the case, however, then it raises serious questions about not only the longevity and sustainability of the claimed poverty reduction in the country, but more importantly, about the desirability of the economic policies pursued that produced such transient gains. The debate on poverty is extremely important — and has been surprisingly completely missing from the policy discussion for the past four years under a supposedly ‘awam dost’ government. Without placing poverty reduction and alleviation at the core of the country’s economic vision and any government’s economic programme, an unacceptably large number of Pakistanis will continue to fall through the cracks. Policy drift on this count has been exacerbated by the ‘freshwater’ thinking of the Chicago-trained Deputy Chairman, Planning Commission, who believes that unfettered markets and properly incentivised private economic agents are all that are required for an economic revolution (and ‘no government’, of course!). Dr Nadeem-ul-Haq is in good company. This thinking is not new to Pakistan, where elitist policymakers since Independence have been growth-centric to the point where achieving high rates of GDP growth has been an end in itself. As a result, without addressing the weak and skewed institutional foundations of sustainable and inclusive growth, it has been episodic with volatile boom-and-bust cycles, while largely favouring the ‘middle classes’ — leaving well over half the population untouched (actually, worse off in relative terms). (Several years ago, when ‘India Shining’ was a hot political slogan, respected columnist and editor M.J. Akbar summed up the iniquitous nature of India’s economic boom with a heading for his column ‘India’s 9% growth for the 9%’). By and large, the narrow base or ‘capture’ of the benefits of growth has not been too worrying to Pakistan’s policymakers — much like the ultra-hawk general in the classic Stanley Kubrik film “Dr Strangelove”, who believed that 20 to 30 million Americans killed in a nuclear exchange with the Soviet Union would be ‘perfectly acceptable’! The only exception to this ingrained policy apathy was, not surprisingly, the period under Zulfiqar Ali Bhutto (ZAB). Statistical, interventionist and welfare-driven policies were pursued. For all its fatal flaws, ZAB’s philosophy and economic vision delivered arguably not only among the biggest social welfare gains the country has seen, but has also managed to sustain his party through years of lacklustre performance in the government subsequently. The debate about the poverty estimate goes well beyond mere statistics, and touches upon the fundamental nature of the social contract of the state with its people. The writer, a former economic adviser to the Pakistan government, currently heads a macroeconomic consultancy based in Islamabad. — By arrangement with Dawn, Islamabad. It all began when it came to light that Pakistan’s then Ambassador in Washington, Husain Haqqani, had allegedly sent a memo to a former top military official of the US, Admiral Mike Mullen, through a Pakistani-origin US national, Mansoor Ijaz, seeking US help to save the Pakistan government from being overthrown by the military in a coup, which was claimed to be imminent. The communication, according to Ijaz, was prepared on behalf of President Asif Ali Zardari. Zardari and Haqqani have, however, denied their involvement in Memogate. The Pakistan President continues to survive in his position, but Haqqani has been forced to resign. Yet the matter continues to be a subject of intense discussion, and efforts are on to get to the bottom of it. That there is no unanimity of views on the subject among different important institutions in Pakistan has been highlighted by their submissions before the country’s Supreme Court, hearing a case relating to Memogate. There are “sharp differences of opinion between the civilian government and the armed forces”, according to The Nation. The government is of the view that the matter does not fall in the jurisdiction of the apex court and that the “President and the Prime Minister have no link with the memo issue”. The government has also submitted a copy of a newspaper article written by Ijaz, alleging that the Director-General of the ISI, Gen Ahmad Shuja Pasha, visited certain Arab countries lobbying for support for dismissing President Asif Zardari. The Pakistan National Assembly has called for the resignation of General Pasha. General Kayani has told the court that the controversial memo has provided proof that a “conspiracy is being hatched against the army and (Pakistan’s) national security”. But he has taken lightly the allegation against the ISI chief and hence no action so far. The News has accused the Pakistan government of having “widened the divide between itself and other institutions”. The government, the paper claims, has done so “with deliberate intent, apparently mocking the Supreme Court”. Since Islamabad and Rawalpindi are not pulling along well, it is time to watch the developments in Pakistan more closely.